Nearly 64 deaths of ducks caused by the H5N8 avian influenza (commonly called bird flu) in Delhi have been recorded in only the last week. This prompted the Government of Delhi to issue a health advisory to ask people not to consume uncooked chicken and eggs. However, people are clueless with questions like whether all the birds have been affected by the virus. Avian influenza or bird flu or avian flu refers to influenza (highly contagious viral infection) caused by those viruses adapted to infect birds. The viruses are adapted to birds but can be transmitted to human beings and further sustain person-to-person transmission. Bird flu is caused by any of the many influenza virus strains; avian influenza mostly refers to the influenza A virus. The avian influenza viruses can spread among birds through contaminated feed, direct contact with infected birds, water, equipment, and human clothing and shoes. They can also transmit through movement of birds, people (through contaminated clothing and shoes), cages, vehicles, feed etc. However, wild birds can typically carry avian influenza causing viruses in their respiratory tracts; they don't usually get sick. H5N8 is a subtype of the bird flu virus (caused by strain 'A' influenza viruses). Though H5N8 is considered as one of the lower pathogenic subtypes, it has begun to become more pathogenic recently. According to World Organization for Animal Health, it can affect several domestic poultry species like chickens, turkeys, ducks, quails, guinea fowl, and pet birds, waterfowl, and wild migratory birds. Paris-based World Organization for Animal Health said there is no evidence suggesting that consumption of poultry eggs or meat could transmit the H5N8 virus to humans. So, it is considered safe to eat properly cooked eggs or chicken. There are reportedly no known cases of H5N8 virus in human beings; risk to people is considered very low. Also, there is no evidence showing consumption of poultry eggs or meat could transmit H5N8 to humans. Properly cooked poultry products are considered safe for consumption. However, necessary precautions while handling infected/dead birds or contaminated material need to be taken during control and containment operations. 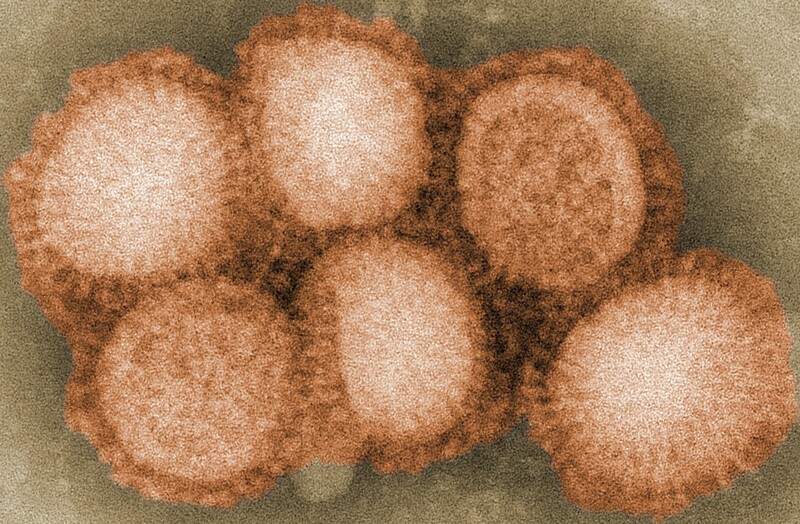 According to the World Health Organization (WHO), widespread outbreaks of H5N8 avian influenza were reported in China, Korea and Japan in 2014. Later, in late 2014, it spread to Europe causing massive outbreaks in Germany, Italy, Netherlands, the UK, Israel, and Russia. The most common method undertaken to control the viral infection detected in birds is 'culling'. Safe disposal of culled birds and their products is critical. Birds culled to control the transmission should not be allowed to enter the food and feed chain as a precautionary measure. Authorities need to strictly enforce decontamination of affected premises and undertake quarantine of contaminated personnel and vehicles. The world's oldest aircraft carrier INS Viraat was given a grand send-off from Kochi after its 56-year service to the Navy. At least one school in each of Kashmir's ten districts were burnt or suffered damages in fires amid the unrest over the last three-and-a-half months.